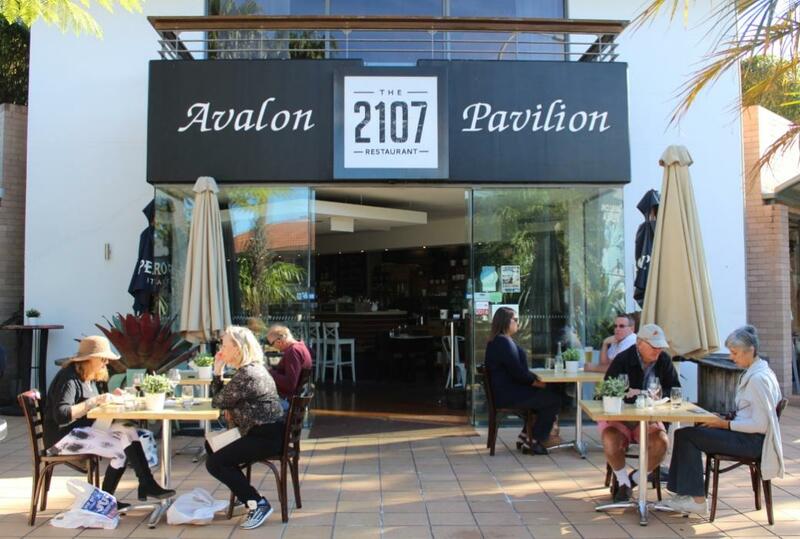 The 2107 is a 100 seated modern Australian restaurant/café and function venue located just a few minutes walk from the picturesque Avalon Beach on Sydney’s Northern Beaches. Locally owned and operated by husband and wife team Andrew and Amy Towner who are bringing home to the Northern Beaches over 17 years experience in some of Sydney’ premiere venues, this is a spot where you can enjoy Autumn sunshine and great Modern Australian cuisine. The Towners are also delivering wonderful food at Palm Beach Golf Club as well. “Our objective and passion is to deliver a total food and beverage experience every time you visit the 2107 by using the best quality produce and products at affordable prices for all ages and demographics. Our menu has been created to give you a extensive variety of dishes from all styles of cuisines from around the world. We have created our menu for people who may just want to come in for some of our share plates and a glass of wine or for customers looking for a full dining experience with our entrée/main and dessert dishes.” The proprietors explain. Owner and wine lover Andrew has created a wine list that is put together with some of the best grape varieties from various regions of Australia, NZ and also Internationally. The wine list has selections available by the glass and also by the bottle. Andrew and Amy even travel to the Hunter Valley on regular occasions to the best Hunter Valley wines to bring back to the restaurant for your drinking pleasure. When asked for a glass of something white to go with the seafood we had ordered Andrew recommended the Helen’s Hill Chardonnay from the Yarra Valley, recently rated as ‘Exceptional – 95%’ by James Halliday – our own prognosis; ‘scrumptious’. The 2107 Restaurant offers a 2 Course ($45.00) and 3 Course ($55.00) Menu option where you may order an Entrée and Main, or Main and Dessert, or all three courses. We decided to try this out, both selecting the Flash Fried Salt and Pepper Squid (GF) entrée – this was the tender slices of squid dusted with Toasted Szechuan Pepper & Prickly Ash Sambal and served with a divine citrus Aioli - delicious. There are also a selection of Gnocchi with sauce Pomodoro, Baked Spanish Chorizo (served with Black Beans, Manchego Cheese and a crusty loaf) the Chef’s Selection of Arancini for Vegetarians, served with a Dipping Sauce or Sizzling Garlic Prawns – although this is not available on the2/3 Course deal. A range of Starters for those who like to place great food on the table for all to share while sipping something great range from a Tapas Share plate to House Cured Beetroot/Golden Beet Fetta Bruschetta among other treats. For Mains we had the Crispy Skin Cone Bay Barramundi Filet (GF) – served with sautéed potatoes, tomato concasse and a salad of julienne vegetables, and the, as recommended by diners just finishing theirs, John Dory Fish and Chips – a generous piece of beer battered dory served with hand-cut chips, dressed green leaves and that magic citrus aioli. Both our serves of fish were the freshest we’ve tasted in years in local restaurants – so melt in the mouth you know it’s just been caught. If you’re not a fan of the freshest seafood we’ve ever had then there’s a great selection of Mains in the Slow Cooked Lamb Shoulder, the Chef’s ½ Marinated Chicken, a 220gram Beef Tenderloin or 24 Hour Slow cooked Beef cheeks – all served with vegetables or slads that highlight and compliment the excellence of these dishes. Vegetarians are catered for with the Pumpkin, Sage and Goats Cheese ravioli or the Super Food Salad – sweet potato, walnuts, beetroot, quinoa, rocket and homemade dressing – you can add grilled chicken of you wish. 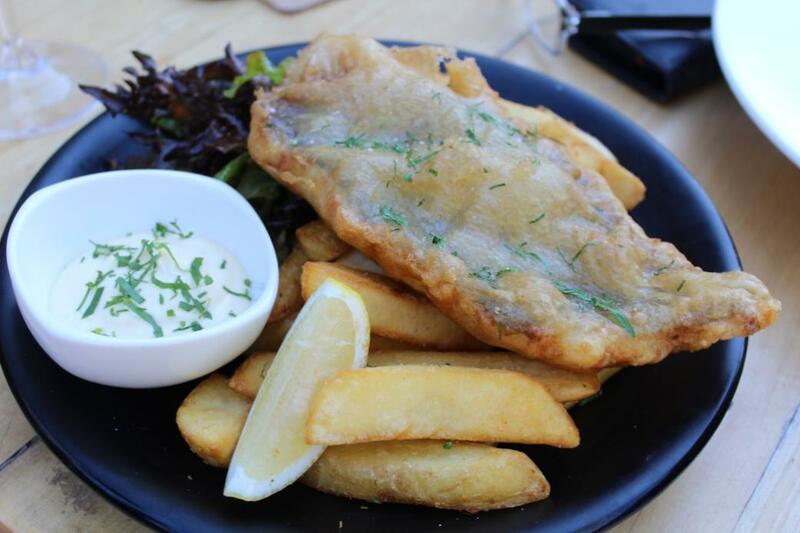 A Children’s Menu (all $12) means those who would prefer Homecooked Bolognese, Crispy Fish & Chips or Crumbed Chicken Tenders with chips are catered for too. The Desserts menu bears such enticements as The 2107 Bombe Alaska (for 2), Chocolate Lava Cake, and Citrus Pannacotta as well as the ever popular Sticky Date Pudding and Apple crumble – done excellently if our meals were anything to go by. We couldn’t fit another thing in though – so we'll have to revisit! The 2107 Restaurant kitchen is lead by internationally trained chef Robert Labour, presenting you enticing creations that appeal to every taste bud using the best quality produce available from local Sydney suppliers. A great wine list featuring some of Australia’s finest, superb and really fresh food, a nice sunny quiet corner of Avalon with fast friendly service makes this a Highly Recommended, and of the ‘do yourself a favour’ category in local food. If their Avalon restaurant is anything to go by, it would be well and truly worth it to revisit the Palm Beach Golf for lunch or dinner again soon too. Owner Andrew Towner knows his stuff!